The hot weather has arrived. Forecasters are calling for a sweltering week, with temperatures in the 90s every day. While we may still see the occasional spring-like day between now and the official beginning of summer next month, air conditioning season is definitely upon us — and that can mean higher electric bills. There are more ways than ever, though, to take greater control of your energy use and keep those increases to a minimum. CPS Energy has several free programs to take advantage of; one is sure to fit your needs. Smart Thermostat: CPS Energy offers free Honeywell programmable thermostats that allow you to automatically set the temperature inside your home based on the time of day. Not home? Allow it to get warmer, then cool down before you get home from work – saving you ten percent or more on your monthly bill. The thermostat, a $300 value, allows customers to help the community by letting CPS Energy cycle off your air conditioner compressor for ten-minute intervals during periods of high demand, generally a handful of weekday summer afternoons. 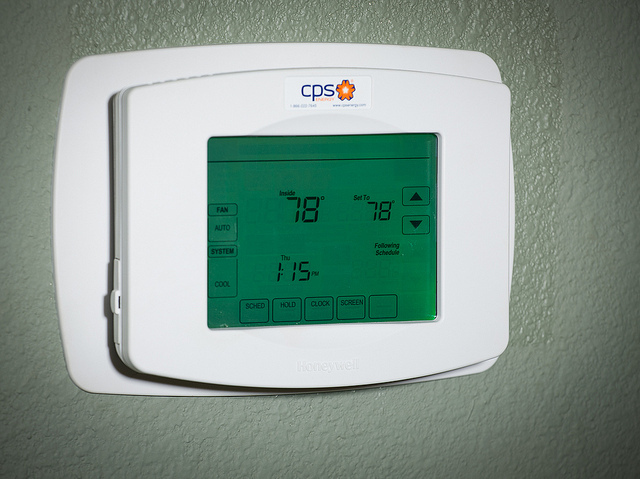 Using CPS Energy’s Smart Thermostat can save you 10 percent or more on your monthly bill. Home Manager: Like the Smart Thermostat, Home Manager allows you to program your air conditioner for maximum efficiency — along with your water heater and pool pump, for even greater potential savings. Using a computer, you can see how your home is using electricity, from hour to hour, and even make changes remotely using your smart phone or any web-enabled device with a new mobile app. Home Manager customers allow CPS Energy to make adjustments to the temperature settings on their AC, based on settings the customers have programmed, during the handful of conservation events each summer – but you can opt out. Watch this video of CPS Energy customer Adam Leija describe how he uses Home Manager to save money. Casa Verde SA: A weatherization assistance program designed to help families in need to reduce their monthly utility bills, Casa Verde offers insulation, caulking and other measures designed to reduce wasted energy. Eligible participants, whether they are homeowners or renters, may receive FREE weatherization measures designed to increase the energy efficiency of their homes. Participants must qualify financially and their homes must meet certain requirements. Those that qualify will receive an energy assessment determining what measures can be installed. CPS Energy hosts regular intake sessions, where you can learn if you qualify and how to apply. Home evaluations: For those who don’t qualify for free weatherization, CPS Energy offers low-cost home energy audits that will let you know what steps can be taken to make your home more energy efficient. This program, which is funded through the Department of Energy, ends on June 30, so it’s important to act quickly to take advantage of the savings. Once you know which steps you need to take, you can save more by applying for rebates. Rebates: Whether you need more insulation or a new, more efficient air conditioner, CPS Energy offers rebates that will allow you to save. 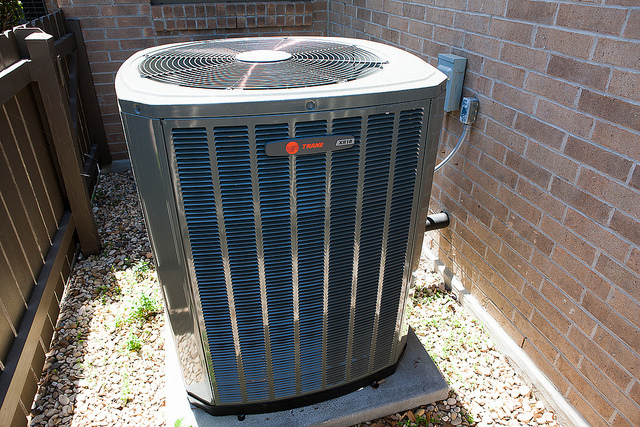 CPS Energy offers rebates for high efficiency air conditioners, insulation and some appliances. Bill Assistance: If you have unexpected trouble paying your bill, CPS Energy’s REAP program helps disadvantaged elderly, disabled and low-income customers with small children pay their utility bills. REAP recipients are eligible for financial assistance twice a year (up to $400 per year) — once during the heating season and again during the cooling season. To qualify for REAP assistance, contact the City’s Department of Human Services at 207-7830 or Bexar County’s Department of Community Resources at 335-6770 for an appointment. Through CPS Energy’s direct contributions and efforts, more than $20 million has been provided to REAP to help tens of thousands of families pay their bills since the program began in 2002. So, whether you need bill assistance, or an energy-efficient option to help you lower the amount of energy you buy, CPS Energy is here to help.